The Year Zero policy implemented by the Khmer Rouge in 1975 has had two lasting effects on education in Cambodia. Firstly, the Khmer Rouge wished to destroy everything that did not fit in with their vision of a utopian peasant economy. Thus there was no provision for the education of children, apart from political indoctrination. Schools were abandoned and books were destroyed. Secondly, the Khmer Rouge sought out and executed those who were deemed to be the parasites that had lived off the productivity of the working classes. Thus the majority of teachers who were unable to conceal their identity were killed. As a result of these actions, and because of Cambodia's international isolation between 1979 and 1991, the process of rebuilding the country's education system was slow until the 1990s. Since then, there has been some investment in constructing school buildings, but school teachers are still under-trained, under-resourced and underpaid. Private schools, colleges and universities have mushroomed to meet the demand for an alternative to the state education system. A generation grew up in the last quarter of the 20th century whose education was effectively stolen by Pol Pot, the former leader of the Khmer Rouge. Now, those of that generation who can afford to do so will pay private schools to give their children the education they themselves missed out on, but the poor are denied this privilege, and the employment prospects of those who have aptitude but not money are severely impaired as a result. Many in today's generation of under-25s are thus still denied the opportunity to obtain a good education. Many schools are still under-resourced. Teachers receive a tiny government salary, leading to absenteeism and the practice of demanding 'informal payments' from their pupils. Cheating and bribery to obtain good examination results favour those able to pay. Some children start primary school at a late age, and many students drop out of school before completing their secondary education, often because of the need to work in order to help keep their families alive. Most higher education is provided on a fee-paying basis and is therefore inaccessible to the majority of potential students. Higher education institutions are mostly situated in the major cities. Students from the provinces have to meet the cost of board and lodging in addition to paying for tuition. We have sponsored some students a term at a time. 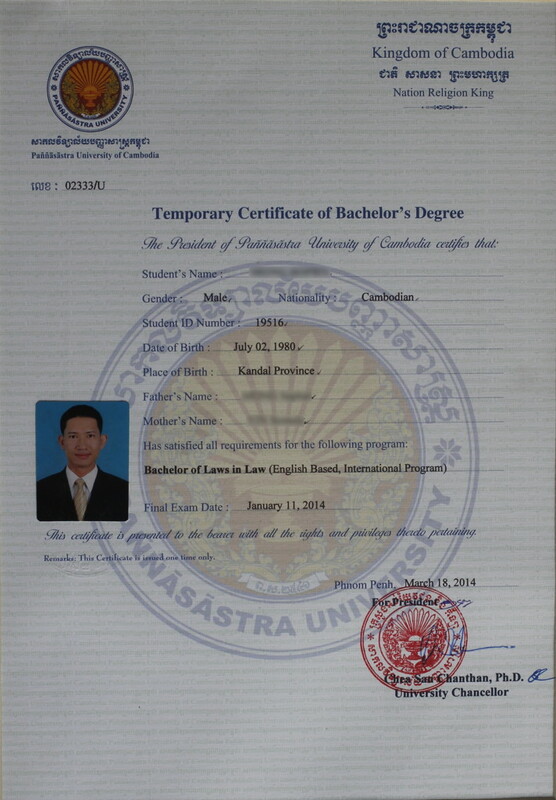 We have helped others study long-term for Bachelor and Master's Degrees. Our aim is to help them improve their prospects of employment, especially as international investment in Cambodia increases. Many students whom CCC has sponsored have gone on to secure good jobs or get started in business. Others are active in a variety of church ministries. 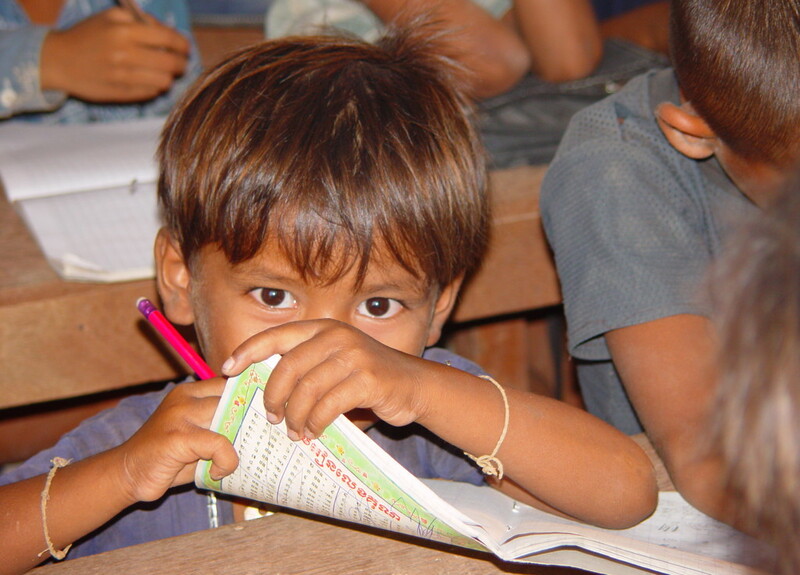 In 2004 we began sponsoring children of school-age and this is now the main focus of our involvement in education. We currently pay a portion of the fees for a small number of Cambodian children to study at schools offering a higher standard of education than that which is available in the public school system. We invite you to consider sponsoring or part-sponsoring a child at school. However much or little you give, it will make a vital difference to someone's life. If you would like to help, please contact us. If you have already helped sponsor a student, please read some of the messages of thanks that they have sent us, shown in the panel to the right. But we should like to go further. 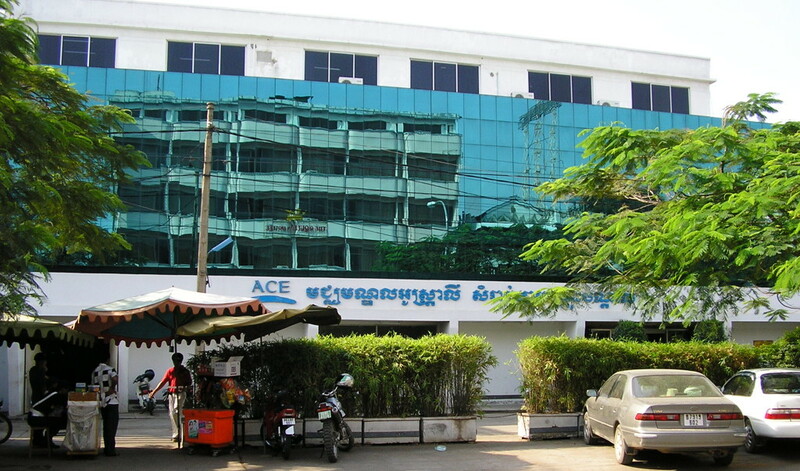 Private colleges of higher education are mushrooming in Cambodia, but few offer courses leading to recognised and validated qualifications. CCC's vision is to establish Timothy College and Business Institute, an institution that will set standards in academic excellence, quality of teaching, value for money and ethical conduct of business. It's been a great blessing from God that a lot of low-educated Cambodians (like me), have hope to receive more knowledge and skills through your support, to build up their nation and serve churches here. I would like to say that the work of God will be done a lot through your organisation and the Lord Jesus Christ will bless you more and more. Other than that He will multiply this blessing through those whom you have been helping. Day to day I praise Jesus with the work of his hand through you. Some people think of being great by becoming top leaders or putting themselves in high positions, so that others can see. But they are desiring the rewards of this world which will be rusty and destroyed. Jesus has spoken to me that you all are great people in his kingdom, for you have done great things, raising up those who are hopeless, unaccepted in the society, poor in wisdom and abilities, to have life and survive with knowing that Jesus is wonderful, great, full of love and grace. All of us [his family] are committed disciples of Jesus, and are taking His Words seriously daily. Anyway, by looking at what I currently have, I truly appreciate and value your support for me. It has meant a lot and I can see that that meaning will never stop! May you all know that I have been thanking them every day. I would like to express my acknowledgement and gratitude that I am now having completely my MBus programme with successful. I would like to take this opportunity to say thanks to CCC and all the resource persons working for CCC. Without your support I could never finish my degree. 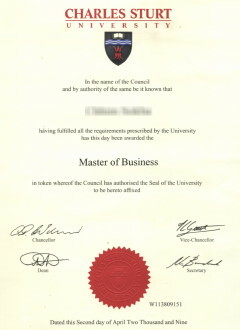 I am now proud of myself very much and very very happy for the result that I have achieved. I would like to share my happy to CCC. Thanks for your kindness and generosity to help our nation and many students have the opportunity to develop knowledge. My wife and I are committed to attend classes regularly because we don't want to waste the money of the sponsors. As a result of my studies I have been out of the country to Thailand and my office will send me to a workshop at Hong Kong because my English has improved. Since I have finished my BA, in name of my family I would like to say thank you very much to everybody that support my study until successful especially you and your organisation. I wish God will bring you and everybody with happiness and healthy. Now I am seeking for some job. Thank with high respect. We would like to thank you for supporting. That is a very kind gift that came from all the people in your church in England for our church and myself. Even though the cost very expensive or cheap that you still open your heart and paid for our church. This is not from your power. It is from only true of our God. Look at my studying if I try to learn on my own power, I will only fail. If I try to learn by depend on him, I will grow up. And our church had made the present for your church. I enclose my letter may God bless you and your church, and give your life to eternal. And we will meet you and your church at the heaven with God forever next time. And thank you very big for your supporting. We hoped that you will continue supporting our more by the power of God. Such letters as these are moving and humbling. But with your help many more young people could rise out of poverty and help transform their country. Please contact us if you would like to help sponsor a student.